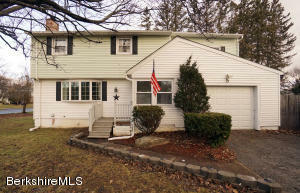 You will love this adorable 4 bedroom Colonial situated on a double lot in a convenient, established neighborhood. 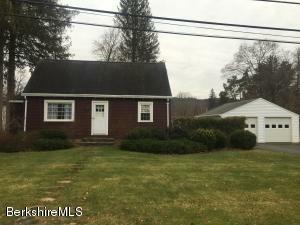 Inviting, well maintained home features original woodwork, 2 full bathrooms, first floor laundry and bonus room, enclosed porches, inground solar heated pool and a storage shed. Improvements include: a new roof (2015), insulated windows, front and back doors. This home is a must see! 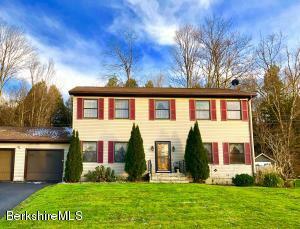 Split Level home with 4 bedrooms and 2 full bathrooms. Oversized living room with fireplace and French door to rear deck and inground pool. Fenced rear yard for privacy. Eat-in kitchen with beamed ceiling and tile floor. Attached two car garage. Wood floors and carpet. Public water and sewer!! 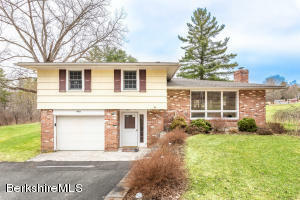 This solidly built Colonial nestled in a quiet westside neighborhood has everything you need in a home: beautiful oak floors, private backyard with inground pool, four bedrooms, full bath and newer 3/4 bath. Elegant touches such as French doors, glass door knobs and classic styling. Feel like something more adventurous than the pool? 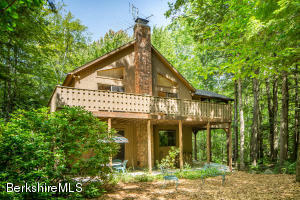 This house comes with rights to a lake lot on Onota Lake. Locked gate provides secure storage for kayaks or canoes. This house is truly a home. Sellers are motivated. Southeast Pittsfield. 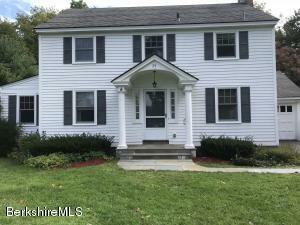 Very nice home with lots of updates. Newer large kitchen with granite counters, double sink, stainless/black appliances, newer dishwasher and brand new gas stove, eat in area with moveable island. Formal dining room with pocket door to kitchen, French doors to living room with wood burning fireplace. Family room with door to seasonal porch having access to yard and in-ground pool. updated 1/2 bath on main floor. 2nd floor has generous master bedroom and three good sized bedrooms. Updated full bath with LOTS of cabinets. Finished family room with separate heat in basement is 9th room. Most windows are vinyl replacement, hardwood floors, built ins in dining and living rooms, new kitchen floor/half bath/family room, roof 2018.Appriasal 1/2018 $250,000.00. Lovely Contemporary in the private association of Otis Woodlands. 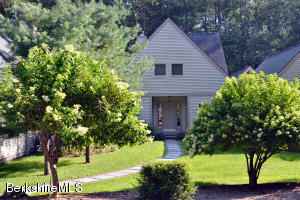 Brand new clubhouse, tennis courts, private lake and beach, fitness center and swimming pool. 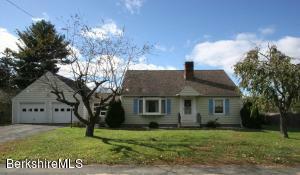 Owner built home with 2x6 walls, spacious great room with brick fireplace. 2 bedrooms and bath on 2nd floor, main floor master suite with bath. Wood floors throughout, except carpeted living room. New roof in 2016 with 3'' of styrofoam insulation. 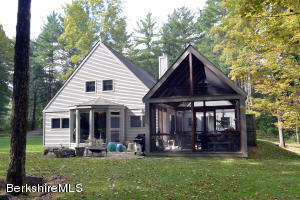 Screen porch and spacious wrap around deck. 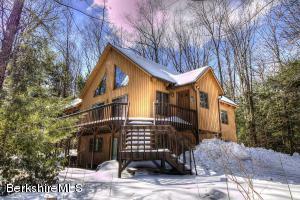 Spacious family room on lower level with wet bar and wood stove. Outbuilding for wood storage. 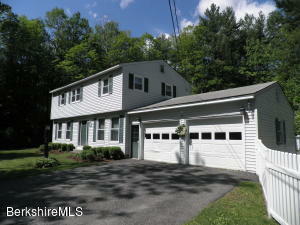 Close to all Berkshire Amenities and only 2.5 hours from NYC. You'll find your ideal New England colonial right here in this picturesque Vermont village setting just a few steps from the popular local church and a few more steps to the elementary school and town offices, just 15 minutes to North Adams, 25 minutes to Williamstown, 45 minutes to a huge lake for boating and 60 minutes to some of the best skiing Vermont has to offer. The comfortable well cared for home offers a family room, eat-in kitchen, dining room, living room with wood burning fireplace, den, laundry and full bath on the main floor, 3 BRs, full bath and office or nursery on the second floor and a finished third floor perfect for a home office, hobby rooms or easy access storage. The full basement offers the option of heating with an oil-fired boiler or optional wood fired boiler. Meticulous 3BR and 2.5BA home in the desirable community of Otis Woodlands with a clubhouse, gym, eight tennis courts, and a private lake with a beach. As an ''upside down'' house, one feels like they are in the treetops from the great room and master suite. Guest have their own fully above-ground floor on the first level, including two bedrooms, a family room with a wood stove, sliding doors to the patio, and a guest bath and laundry. The second floor great room has a cathedral ceiling, an open kitchen with new stainless appliances, another wood stove, multiple sliding doors to the deck and big screened porch, along with a master suite and guest powder room. With new exterior stain, a new roof and decking, this easy-care spotless home is ready to move right in to and enjoy OWL life. 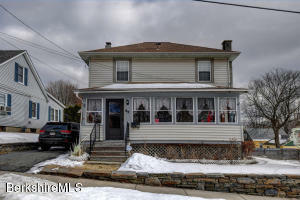 Spacious 4 bedroom Colonial in a quiet setting, fireplaced living room, heated sunroom, updated kitchen, and large deck overlooking the inground pool. 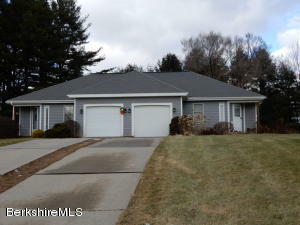 Convenient to area services and attractions as well as Pittsfield and points south. Inventory at Long Lake is low so here is your chance to be a part of this dearly loved community. What's to love? 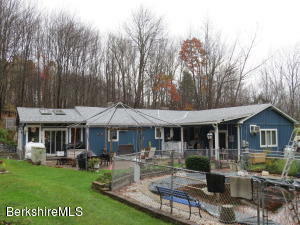 Maintenance free living, 220 pristine acres, a lively group of community members, swimming pool, lake for boating and swimming, tennis, basketball, walking trails, close to Hillsdale and Millerton, and only 2 hours from NYC. 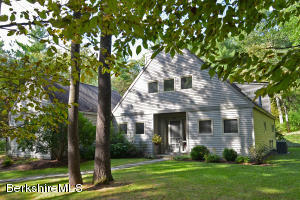 All of this plus a beautifully designed and well maintained home with cathedral ceiling, and sublime screened porch. At this price, it's a steal. Enjoy entertaining in this stylishly renovated, light-filled home, with an in-ground pool, in a sought-after Lee neighborhood. The open-concept first floor features a large kitchen with granite counter tops and center island; living room with wood burning fireplace and floor-to-ceiling windows; dining room; and sun room. The second floor offers three bedrooms with great closet space and a full shared bath. The lower-level walk out has an additional room, with sliders to the patio and a full bath, for your use as an office, family room, or home gym. 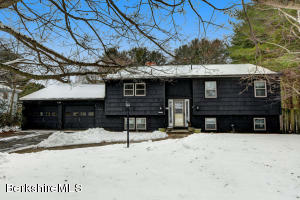 Pristine, light and bright, extremely well cared for three bedroom three bath Long Lake home. Owning a second home just got a whole lot easier. 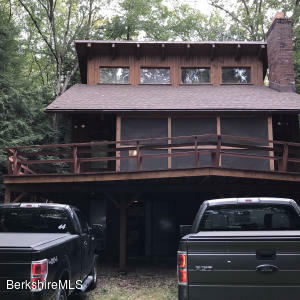 When you purchase at beautiful, serene, Long Lake you will actually have your weekends free to explore and enjoy all that the Hudson Valley and Berkshires have to offer because the lion's share of the exterior maintenance will be taken care of. This meticulous home will make moving in a breeze as well. Conveniently located between Hillsdale and Millerton and only a 2 hour drive from NYC. Once you arrive all you will need to do is just sit back and relax and enjoy the water view from your lofty, peaceful screened porch. Community pool, tennis courts, beach, and kayaks are all at your disposal. Now this is what owning a second home is all about. Minutes from downtown and located in a sweet neighborhood, this 1950's cape is packed with charm. The house has original oak floors in most of the rooms. 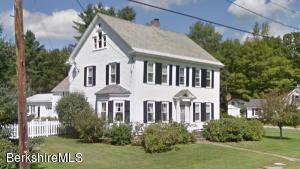 Large five bedrooms, with two on the first floor and two full baths, one on each floor. Enjoy cozy evenings next to your fireplace in the living room. Screened in room for summer evenings. 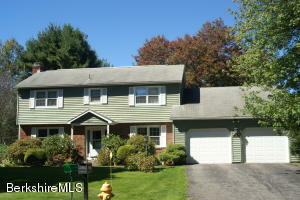 Beautiful mature plantings and a large backyard with in-ground pool. Oversized attached two car garage. This house really has it all- a must see! Otis Woodlands splendor! 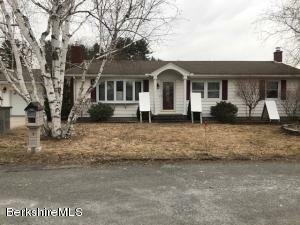 This beautifully maintained country home w/open plan main floor, 4 bedrooms, 3 bathrooms, two wood burning stoves, four season heated sun room, large lower level family room and warm knotty pine interior make for a perfect family getaway. Enjoy OWL's own wonderful lake, clubhouse, pool and tennis court. close to all Berkshire Attractions. A wonderful family home with privacy and mountain views plus large inground pool ( 50 x 25).. Off outer West St near BCC..Bedroom and full bath on the first floor adjacent to large kitchen..Large bright family room off kitchen with access to deck and backyard..Front of home faces East and back faces West so sunlight abounds..Features: new Buderus furnace; alarm system; electric heatpump for the pool and the liner is 5 years old with Winter and Thermal covers..